I think I am in love! Not that I need anymore foundations as I think 30+ is enough but how could I resist the Laura Mercier Silk Creme Oil Free Foundation?! I have wanted this foundation for the longest time and I finally picked it up. The packaging I love, I am really loving foundations in squeezy tubes at the moment as I find I can use every last drop whereas a pump doesn't let you do that. I went for the shade Rose Ivory which is the perfect match to my MAC NW20 skin. 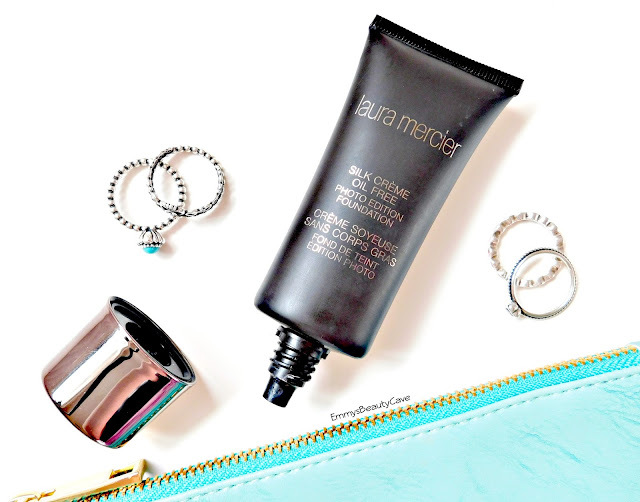 The Laura Mercier Silk Creme Oil Free Foundation is one of the two newer additions as Laura Mercier used to only have one Silk Creme Foundation but now they have the oil free and the moisturising one. As I have oily skin most of the time (it can sometimes be combination) I usually go for oil free foundations. When I did my research, I read many reviews of this product and found it to be hit and miss with oily skin. Personally I find as long as you use a good primer, powder and setting spray most foundations will work well if they are oil free. 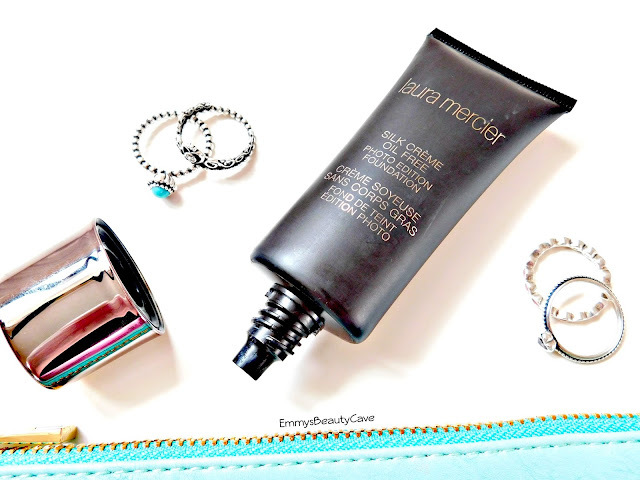 Laura Mercier describe this foundation to wear for 12 hours with a full coverage matte finish. When I first squeezed a small amount out of the tube I expected it to be alot thicker in consistency but it was very light. Laura Mercier advise to apply this with a sponge but I find it applies best with either a buffer brush or a flat top kabuki brush. I personally love applying it with my Nanshy Face Brush. One layer all over the face creates a medium coverage I would say but it is easily buildable. Once I have built it up to the full coverage I desire surprisingly it didn't feel cakey and still looked very natural. When I looked in the mirror I couldn't believe how flawless my skin looked! It is definitely my favourite base for how it looks. After reading mixed reviews I wasn't sure how well it would last throughout the day but it didn't pretty well! I found after 6 hours I had slight shine on the corners of my nose. I applied a small amount of powder just to those area's and 9 hours later my face still looked flawless! Overall I am in love with this base and will definitely be buying it again. If you are looking for a high coverage, lightweight, flawless base this is for you!